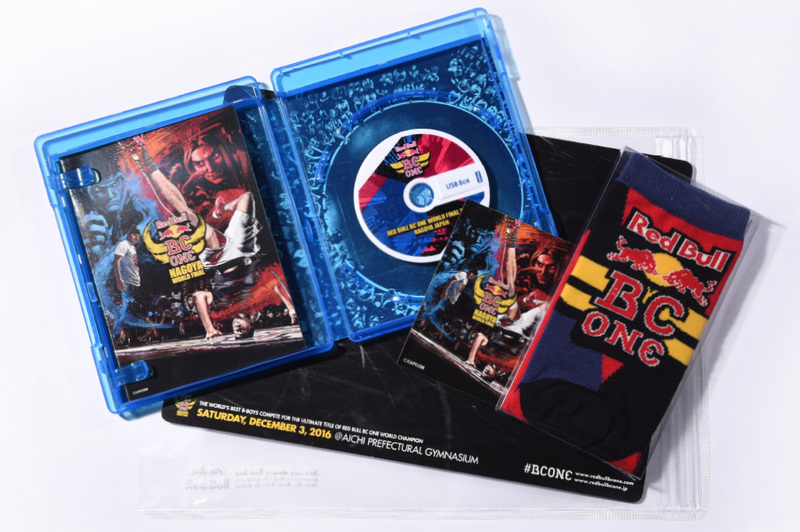 Client : Red Bull Japan Co., Ltd.
We’ve produced a media kit for the world championship finals of Red Bull BC One, the world’s largest one-on-one breakdance tournament, coming to Nagoya in December 2016. 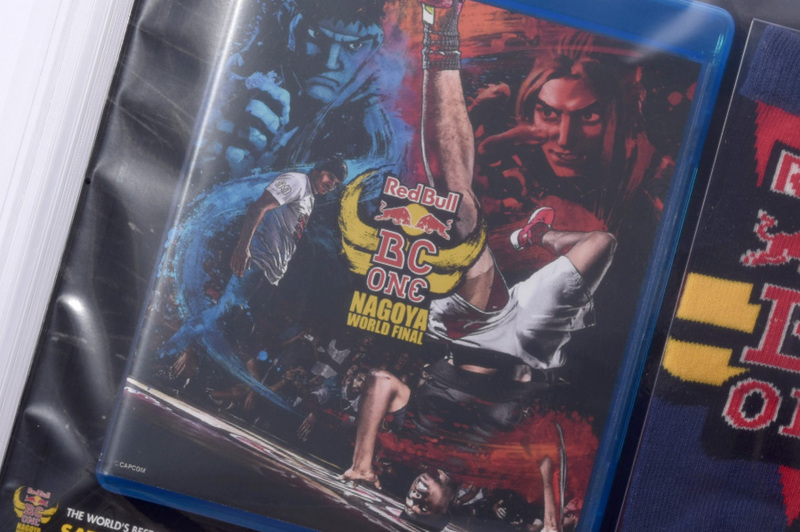 To match with the event’s main visuals (in collaboration with Street Fighter V), the kit comes in a game case. 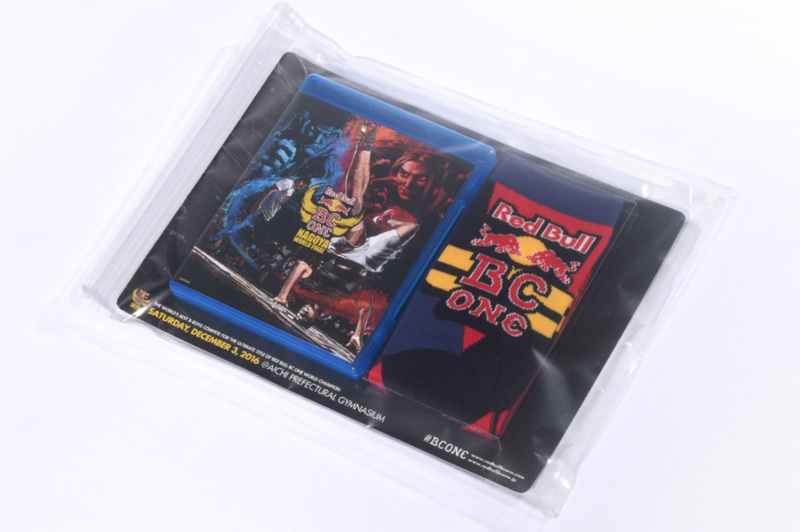 The case contains a booklet with event information and participant data, a disk-shaped USB drive, a sticker, and a pair of socks with B-Boy symbols. 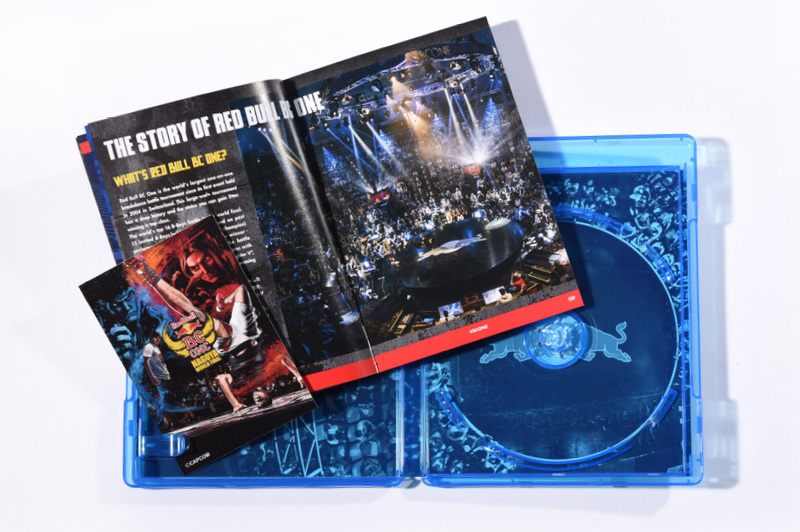 We oversaw all creative aspects of the production process including concept, graphics, editing, and product management.